The Economy Steel dock board is designed to meet the demands of of today’s active docks that require moderate to high usage. Structural steel side curbs are fully welded to protect equipment run-off and for increased strength. Reinforced steel legs prevent dockboard from moving between truck and dock. Lift chain allow for easy moving of this board. Economy Steel truck dock boards are available in capacities of 10,000lbs. and 15,000lbs. Special size boards are available upon request. These boards feature 3/8″ steel treadplate with welded steel side curbs. Lip length is 11″. 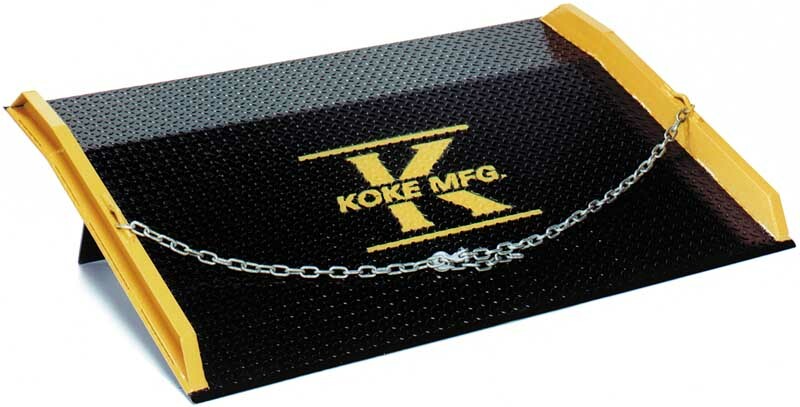 Lifting chain is standard.